The 1Cam is ideally suited for any industry where the highest quality imagery is desired. HD video or digital stills inspections. The Gemini 720i sonar provides real-time, crisp imagery of the underwater scene ahead, making Gemini the ideal technology for subsea sonar vision for obstacle avoidance or search and rescue (SAR) operations. Gemini 720i is the ultimate multibeam imaging sonar producing images of superb clarity with the added benefit of real-time imaging. The HLK-43000 5 Function Mini Manipulator is unique in that it has no aluminium parts. The construction of plastic and stainless steel has kept the arm rugged and tough with the capability of lifting 10Kg at full reach, yet retaining a very light weight in water. The unique 5 function arrangement gives excellent dexterity. 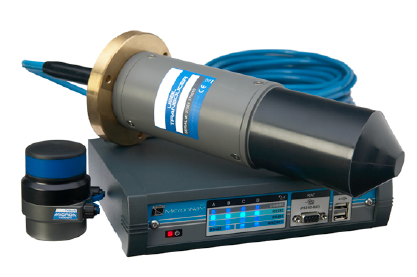 The MicronNav system is an innovative Ultra-Short Base Line (USBL) positioning systemdesigned for small vehicles.